EghtesadOnline: Iraqi Prime Minister Adel Abdul Mahdi said in a meeting with Iranian Foreign Minister Mohammed Javad Zarif on Sunday that his country is pursuing stronger ties with Iran. “Fostering best relations with neighboring countries is a central component of Iraq’s policy and it is working toward better future relations with Iran,” Zarif was quoted as saying by IRNA. He also expressed satisfaction with fruitful negotiations held between Iraqi President Barham Salih and Iranian officials during his recent visit to Tehran, voicing hope that such mutual meetings would help further improve bilateral relations. 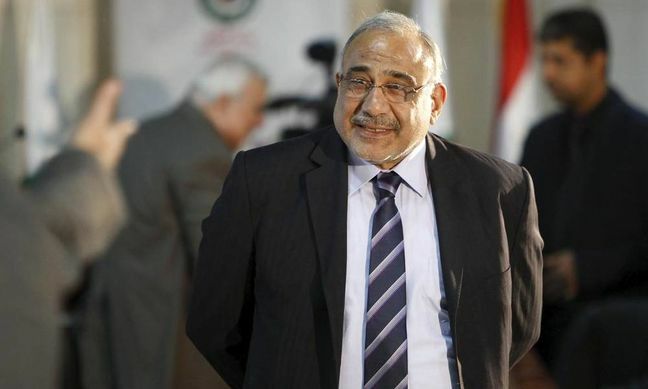 Abdul Mahdi said making the best of the two countries’ capacities through effective interaction is a great wish of the Iraqi people and government, Financial Tribune reported. Zarif and Mahdi also discussed ways of facilitating travel for people and businesspeople, creating financial mechanisms to boost trade and energy exports, launching shipping lines in Arvandroud shared waters and building industrial towns in border areas. Cooperation to address regional crises such as conflicts in Syria and Yemen were also among other topics of discussion between the two officials. Zarif congratulated the Iraqi nation on their political achievements and establishment of a new government, reaffirming Iran’s support for Iraqi stability, national sovereignty and democracy. He said Iran will continue its assistance to strengthen the democratic political system in the Arab country and step up efforts to improve bilateral relations in political, economic and cultural spheres. The top diplomat arrived in Baghdad on Sunday at the head of a political and economic delegation for a five-day visit and was received by Iraq’s Deputy Foreign Minister Nazar al-Khairullah. He then held talks with his Iraqi counterpart, Mohamed Ali Alhakim, on bilateral ties and regional developments, following which they issued a joint statement on the two countries’ shared positions. Their discussions revolved around travel between Iran and Iraq, railroad connections, the US unilateral sanctions on Tehran, shipping in Arvandroud, current regional issues and challenges ahead. They also stressed the importance of helping advance the Palestinian people’s legitimate demands and upholding their right to return to their own land. On the sidelines of his meetings, Zarif told reporters that President Hassan Rouhani plans to visit Iraq in the near future. He said the visit is scheduled for March 11 but did not disclose further details about the trip’s agenda. The president’s mission, according to Zarif, is in line with the countries’ efforts to expand relations with Baghdad. Iraq is a major importer of Iranian goods and relies heavily on Iranian-supplied natural gas and electricity. Its trade with Iran, however, is likely to be impaired due to the US measures aimed at restricting Iran’s international business. Washington has been pressuring Iraq to break its energy dependence in Iran since it reinstated sanctions last year after withdrawing from the 2015 nuclear deal. It gave a 45-day waiver to Iraq to continue its gas and electricity import and later extended it by another 90 days until March, as Baghdad was not able to replace its source of energy. Iran and Iraq are also jointly exploring two shared oilfields, despite US efforts to isolate Iran from global oil markets.